Airborne autonomy is still decades away, so here’s how Bell plans to help Joe Air-Taxi Pilot fly safely—no matter how much training he's had. 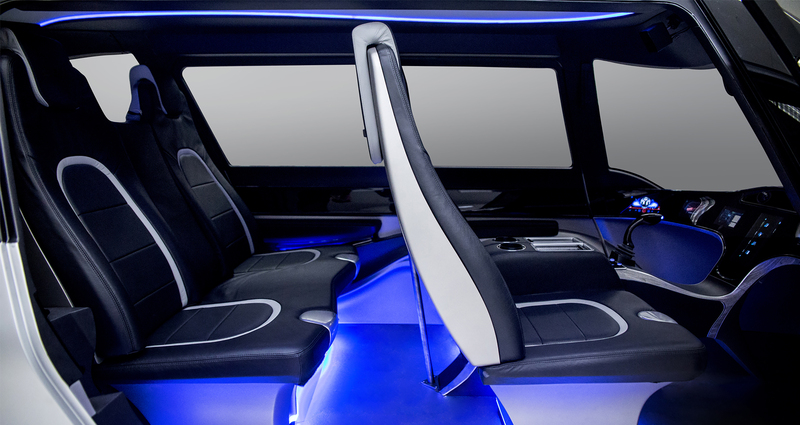 The path to a future filled with electric air taxis streaking across the sky will be bumpy indeed. Battery-powered aviation is still young and unproven, especially for vertical-lift machines that will need to spring straight up into the sky and land on a dime. No one has yet shown that the vehicles will be safe and quiet. And even now, with 2020 less than 13 months away, the rules and regulations for it all are barely a twinkle in the FAA’s eye. 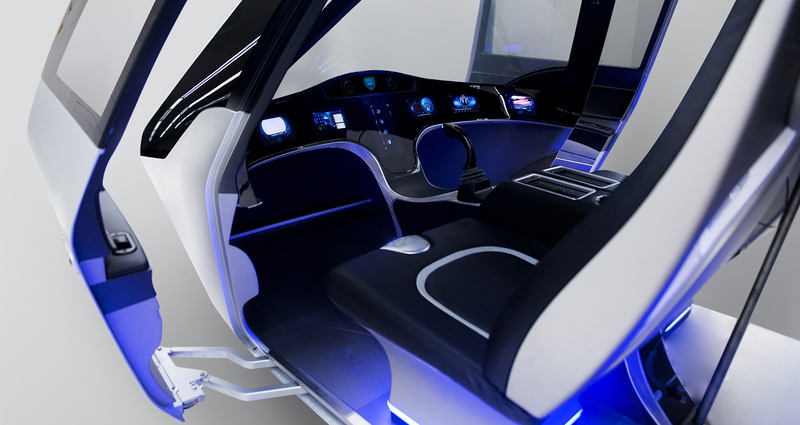 But perhaps the most dire challenge is who—or what—will pilot the air taxis of tomorrow. After all, the autonomous flight controls that will be needed to make the system economical and efficient will take decades to evolve to the point that these aircraft can operate without human pilots on board. Problem is, we already have a severe pilot shortage in the current air transport system, and it’s only likely to get worse in the coming years. Where are we going to get thousands more who are capable of piloting tricky, lightweight, multi-rotor air taxis from front yards to urban rooftops—stopping at Starbucks on the way, of course—dozens of times each day? Air-taxi startups mulling this challenge are eyeing the time and costs involved in training skilled pilots—spoiler: they’re significant—and finding it a worrisome proposition. But vertical-lift-flight veteran Bell, the 80-year-old helicopter manufacturer that has joined the pack in hot pursuit of air taxi glory, is eyeing a different strategy: make flying easier, and thus widen the potential talent pool. 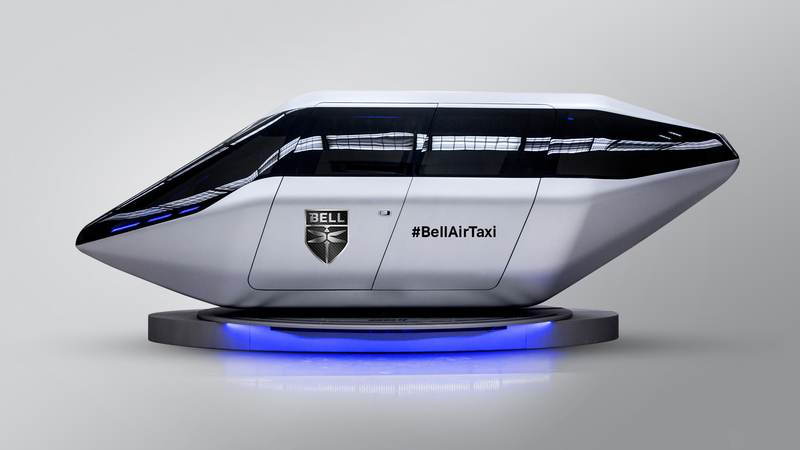 Doing so has already been acknowledged as likely an essential key to the early days of air taxi operation—but Bell, one of the most experienced players in the air-taxi horse race, is the first to be pushing aggressively to determine what precisely that means. To that end, the Fort Worth, Texas-based company—which is unveiling its full air taxi concept at CES next month, a year after debuting the cabin mockup—has launched a three-phase study to determine what types of control systems will allow “minimally trained” pilots sufficient control and oversight without necessarily requiring them to have the same skills possessed by crews flying today’s complex helicopters and airliners. That doesn’t mean they’re dumbing the technology down so far that anyone with a driver’s license can command an air taxi—such a move likely wouldn’t inspire much confidence in early riders—but simply ensuring the controls are optimized for the widest range of potential pilots, and that simplification and automation is pushed as far as they can be. “We’re also really interested in what interfaces are the most intuitive to non-pilots,” Gibson says. The first phase of the study, currently underway, involves surveying a wide spectrum of individuals who might be inclined toward a career as an air-taxi pilot. They’re asked about their previous experiences in a wide range of vehicles and even subject areas—gaming, for instance—and what abilities they bring with them, Gibson says. “We want to learn how all these things contribute to their ability to learn a new vehicle,” he adds. A big part of this phase involves the participants trying out a range of flight simulators that use different control mechanisms and styles: conventional helicopter setups, dual-stick controls, arrangements with all functions consolidated into a single joystick. Participants take off and follow dotted lines through the the sky, maneuvering around obstacles as needed, while the computer assesses the difficulty they might be encountering—or, conversely, the ease with which they’re able to fly in more intuitive systems. The simulators will be on the floor at CES next month, and all the data collected there and elsewhere—including schools, music festivals, and many other environments where Bell will be trying out young talent—will help the company develop the control mechanisms for their final product. Then comes phase three, expected in 2020. At that point, Bell will advance the system to include the integration of artificial intelligence and different degrees of automation, as well as the systems that will integrate the aircraft—and pilot—into the airspace with other vehicles in flight. Ultimately, the lessons learned in this study may also trickle up to professional pilots, as well. Gibson notes that each generation of new pilots is more and more amenable to simplification of their flight controls and automation of different phases of flight. “If this proves to be better for everyone, we’d absolutely consider expanding it beyond just air taxis,” he says. The Drive's tech writer and aviation expert takes us into the future for a ride in a self-flying electric aircraft. It might be a bumpy ride. Lilum's head of design, former McLaren and Ferrari designer Frank Stephenson, said the company will soon be flying passengers in its electric aircraft. Claims of hundreds of electric, autonomous UberAir taxis zooming from rooftop to rooftop every hour are theoretically possible. Just not by 2023. The Marines are looking at the design as part of their own multi-role drone program, but it could be appealing to other services, as well. Aston Martin missed its chance to call it the Volare.